Choose from our large curation of cheap high-quality shower caddies by style & design. Further you can enjoy FREE shipping on all qualifying orders. 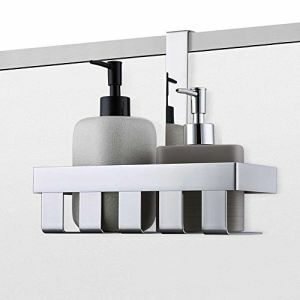 Let us help You to organize your bathroom with our collection of shower accessories. Soak & relax in a hot bath with a bathtub caddy. 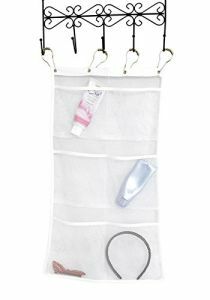 Shower caddies keep toiletries organized. 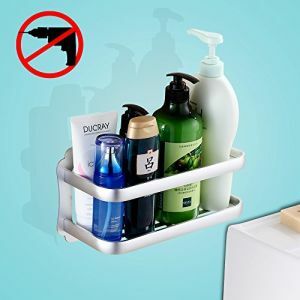 Let’s clean up with bathroom caddies. Corner Shower Shelves will help to keep your toiletries inside your shower organized. And the bathroom bamboo rack or a shelf rack will aid to organize the bathroom itself. Here you can also find popular solutions like our Teak Bamboo Shower Seat Bench with storage shelf. 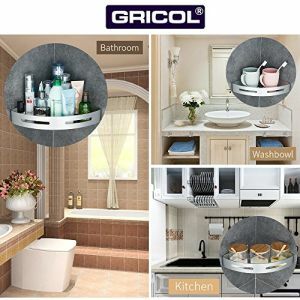 Now you can organize your bathroom with shower shelves that match your bathroom design, style & budget. Shop our cheap high-quality shower caddies and enjoy FREE shipping. 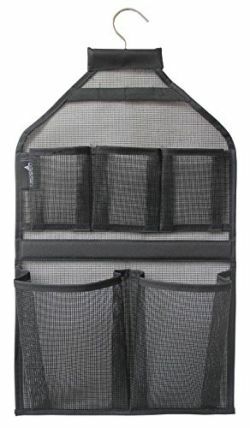 Our shower caddies keep your toiletries organized. Clean up Your bath with bathroom caddies that match your style and bathroom design. 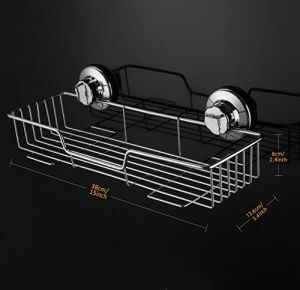 Now you can store shower items neatly with our adjustable shower rack and shower caddies. 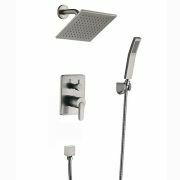 From the classic shower head-mounted mesh shower caddy model to the popular vertical tension shower caddy pole. It stretches to fit your favorite shower products. Two shelves have an incorporated soap dish and silicone straps to store razors. 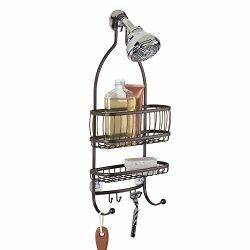 This unique shower caddy is “FLEX” able in mounting configurations. Maybe you would prefer one of our Quick Dry Shower Tote Bag. 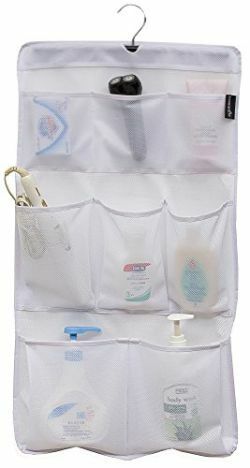 This Hanging Toiletry and Bath Organizer have 8 Storage Compartments for Shampoo, Conditioner and more. 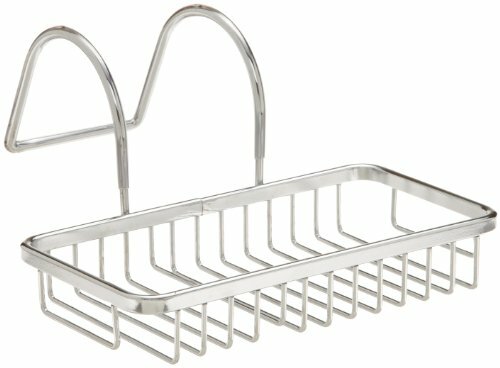 Stainless Steel Shampoo Conditioner Holder. With a Deep Storage Basket. And a Shelf. All in a stylish Chrome finish. 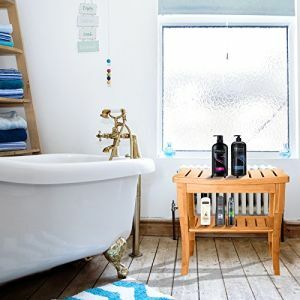 Next, Our top selling and trendy Stainless Steel Shower Caddy – No Drilling Required! And last but not least you can soak & relax in a hot bath with a bath tub caddy from Top Home Design. As you can see we have many type shower caddy and bath caddies for you to choose from.